Finally make a local move without breaking your budget, or your back. Local moving services from Orange Movers are affordably priced and flexible to meet the size of your home or business. Full service does not mean high priced with Orange Movers, it means getting what you need with your local move without a big expense. Compare the money and the time that you will save against DIY or other moving companies, and see the value in Orange Movers for yourself. We here at Orange Movers Miami believe that moving to Lauderhill is one of the best choices anyone can make. There are numerous reasons for such an opinion, all of which we will cover in detail in just a little while. However, what is the first thing you need if you are pondering whether to make this move? Yes, you guessed it! It`s finding the most reputable Lauderhill movers on the market. Do not worry, because we have got you covered on that field, as well. Take a look at why you should give us a call if you are moving to Lauderhill, and let our movers handle your relocation process! 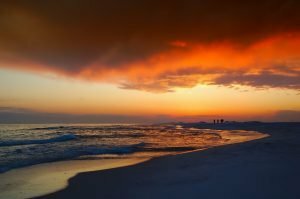 With its pristine beaches and sunny weather, Florida is a real heaven. Hire our Lauderhill movers, and let us relocate you to one of the most beautiful places in Florida! Why choose Lauderhill for your future home? Like we mentioned at the beginning, we would like to give you some more details as to what life in Lauderhill is like. After all, you do need to make an informed decision if you are contemplating moving to this place. Let us start by saying that this is a great choice on your part! Lauderhill is the perfect combination of secluded and quiet, and fun and versatile. 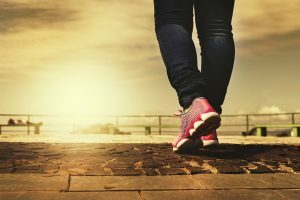 Even though you can enjoy the peace and quiet this place has to offer, there are also many recreational and fun activities available for those of you who like to keep active! So, what is it that you can do after moving to Lauderhill? Stay fit at the Central Broward Regional Park and Stadium! Hire Lauderhill movers to relocate you today, and start your journey to a perfectly shaped body today, because this park can offer you plenty of space for all sorts of recreational activities. Playful art is a perfect place in Lauderhill for those with a big imagination. If you are an artistic soul, you should know that there is a place in Lauderhill for you, where you will feel right at home! Florida Swap Shop is a place where you can get a unique experience. It houses a museum, a flea market and a farmers market on top of that. Ever heard of such a place before? There are many different, equally fun activities to choose from after moving to Lauderhill. If all of these places and activities seem appealing to you, you know what to do. Give us a call and hire the best Lauderhill movers available on the market! Why choose us as your Lauderhill movers? Now that you are informed of all the reasons for moving to Lauderhill, it is only logical to be informed about our movers, as well. What is it that we have to offer which sets us apart from all the other movers in Florida? For starters, our movers Lauderhill-based are reputable. If you were to ask any person on the street, they would tell you the same thing. Over the years, we have earned ourselves a good reputation by being focused, careful and dedicated to our clients. Moreover, our Lauderhill movers are efficient. We are highly trained relocation professionals, so we will be quick on our feet and get the job done before you know it. We can pack your home, or pack your office with ease because that is why we exist. Lastly, we offer competitive prices. In these days, there are a lot of different movers competing for a client`s attention. The price of their services often has the biggest impact on the clients. That is the reason why our prices are affordable, but more importantly, they match the quality we provide. In case you find these qualities enough, contact us. We are looking forward to meeting you! Which moving services do our movers Lauderhill offer? Florida moving services that a moving company has to offer should always be the first thing you look at. After all, every relocation is unique, and you want to make sure that your movers have what it takes to handle your move. Therefore, we have worked hard to be able to offer you the best, and most versatile, moving services you can think of. Here are just a couple of moving services we can provide you with! 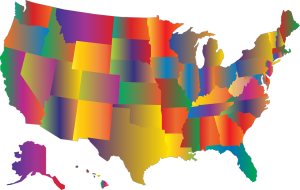 We cover both relocations down the block and those that require us to cross the state borders. And, long-distance moves are notorious for being tricky and complicated. Only the best of movers can handle this type of a relocation in the right way. But, movers which are capable to handle such a tricky move can be difficult to find. However, finding long distance movers in Florida can be easy when you know where to look for them. Hopefully, now you do! Our Lauderhill movers can relocate you all over the country. This is the most common moving service people opt for. We fully understand why, since packing, as well as unpacking, is a tedious and oftentimes complicated task. Therefore, let us do all the work for you. You sit back and enjoy your relocation, as they do not come around too often. There is a special mechanism for transporting certain furniture pieces. Those pieces can only be relocated by capable professionals, which we are. You can rest assured we will disassemble your furniture with care, and then put it back together in the same manner in your new residence. More importantly, we will do it quickly, because we do not like to waste your time. We do not consider this to be a chore, but a pleasure, one that we are more than happy to help you with! You can sleep tight if you decide to hire our Lauderhill movers. We will do everything in our power to make sure you have a smooth relocation. It is our goal for you to be satisfied at the end of the day because your happiness matters to us. We are looking forward to meeting you! Over the years, we have learned that like families, no two moves are ever alike. Orange Movers gets around this by allowing you to custom build your move, picking the services you need so that you don’t pay for any you don’t want. Whoever said that a commercial relocation is easy has never been in charge of moving a business before. Our goal with local commercial relocations is to make a seamless move that minimizes any interruption to your operations. Large statutory, priceless heirlooms and your grandma’s piano all need to make it to their spot in your new home in one piece. Leave your most valued possessions in the hands of professionals like Orange Movers when moving in Lauderhill. 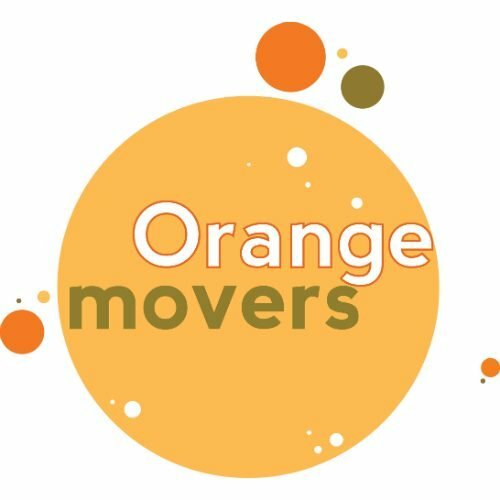 How Does Orange Movers Compare Against Our Competitors? Unlicensed and uninsured movers plague Southern Florida, luring homeowners with false quotes and empty promises. Don’t fall for any charades. Insist on an in-home quote and a binding estimate that you can count on before agreeing to local move terms. You have the right to know what services you are getting for your money when making a local move in Lauderhill. The professional team at Orange Movers will make sure that your next move is a stress-free one. A friendly rep will answer all of your questions, your in-home estimate will outline the costs, and our knowledgeable pros will pack your belongings and move them across Lauderhill. Ask about local moves, where you could be eligible for some freebies and a discount. Put the aspirin away, Orange Movers is going to get rid of that moving headache for you. We offer various promotions and discounts to help you save money on moving. If your move is local in Lauderhill, you could be eligible for ten free boxes and a month of storage along with a 10% discount. All moves within a 100 mile radius can qualify you for this special package. Other discounts and freebies may also apply, such as those for Florida’s senior citizens. Let our service representative know all your special circumstances during your call to learn which of our promotions offers the best value for you. Be ready to be impressed with the range of freebies we gladly offer. Local moving packages include a free month of storage, but that can be extended for as you long as you need. Our affordable storage facility provides a safe haven for your belongings on a short or long term basis. This is a state of the art storage center with a climate controlled atmosphere to provide maximum protection for all of your possessions. Storage options are available for both residential and commercial purpose in various sizes to suit your needs. We can even pack up your stuff and bring it into the facility for you. If you’re in between spaces or just running out of room, you’ll find tremendous benefit from a secure storage unit. Like any good moving company, we offer insurance for your possessions while in transit. Unlike other movers, we know that is no comfort when something precious or priceless has been broken or lost while in transit. Count only on our expertise to safely pack and move your most delicate items. The extra TLC we provide is a better guarantee than any insurance policy you can buy.